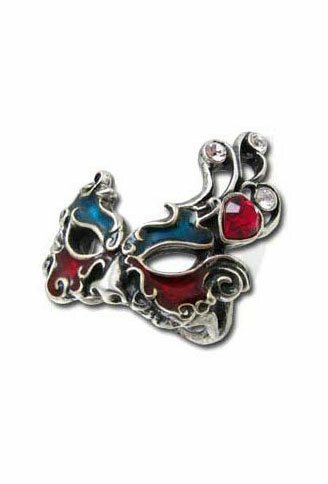 Deception and illicit indulgence hide behind the beguiling, traditional, Baroque mask of the Carnival; with Swarovski crystals and translucent enamels. 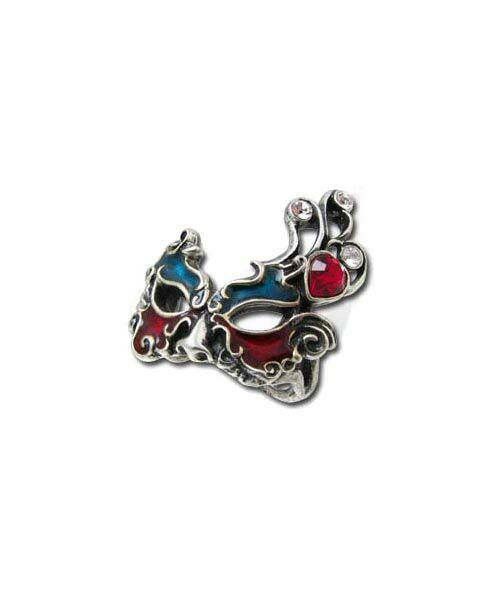 Measures approximately 1.26 inches wide, 1.38 inches high and 1.02 inches deep. By Gothic Alchemy.